Your own life and personal experiences can be great inspiration for your novels. 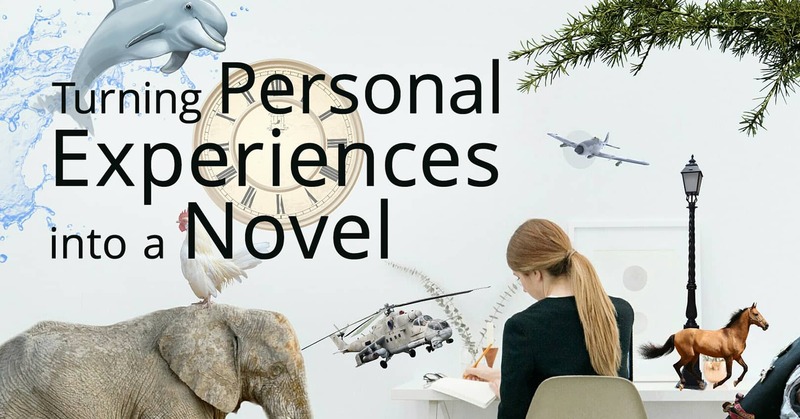 Whether it’s one scene you slip into your novel, or an entire novel based on a real event, personal experience can bring life and realism to your writing. Here are some tips to help you turn your personal experiences into a novel. If something interesting, weird, or funny happens to you or someone you know, write it down right away. Include the basic events, what actions people took, and how everyone reacted to the events. Brainstorm why each person reacted the way they did as well. This way, when you turn your personal experiences into a novel, you can choose which of the characters in your novel react the same way or even change a reaction slightly if it doesn’t fit with your characters. The event is real, but if you’re writing fiction and not a memoir, you need to distance yourself from your story. Once you put the action on paper, those characters are no longer the people you know in real life. They are now your characters. Let go of some things that happened that aren’t interesting or believable and focus on the main beats to get across the emotion and events. That means you may have to change the original scene a bit or combine several experiences to keep it interesting in written form. Real-life experiences are great, but you may need to add a little more drama to the events to keep the plot moving, especially if your entire novel is based on a personal experience. The experience is a great springboard that will need to be spruced up a little bit. Think drama! Any idea you have seen has likely already been used in some book somewhere, but your unique spin, the adjustments you take to increase the emotion and drama, is what makes it stand out and become yours. You’ll need to adjust the scene or characters so it’s not obvious who the characters are based on in real life, protecting their privacy and preventing any lawsuit. This could involve changing the hair color, profession, backstory, or hobbies of your character to not match their real-life counterpart. By the time you're finished, many times your real-life inspirations will read your book and not recognize themselves and maybe only see a slight similarity in events. How have you turned personal experiences into a novel? We'd love to hear in the comments below!